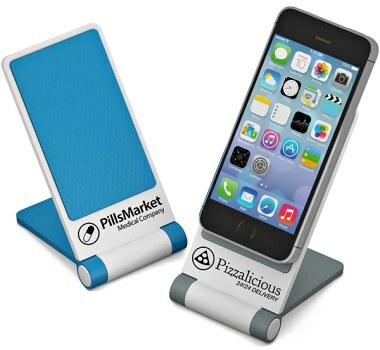 Enhanced presentation of your logo on its innovative silicone coated holder. Magically holds your phone without leaving any trace. Phone and messages within reach so as not to miss the important things. Easily folds up for storage or distribution.